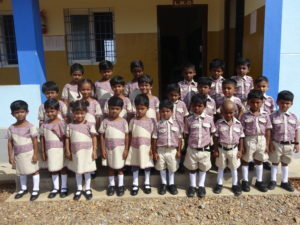 June 1st, 2016 marks the red lettered day in the history of the Province as we began a new school, in Tamil Nadu, Pochampall belonging to Dharmapuri diocese. 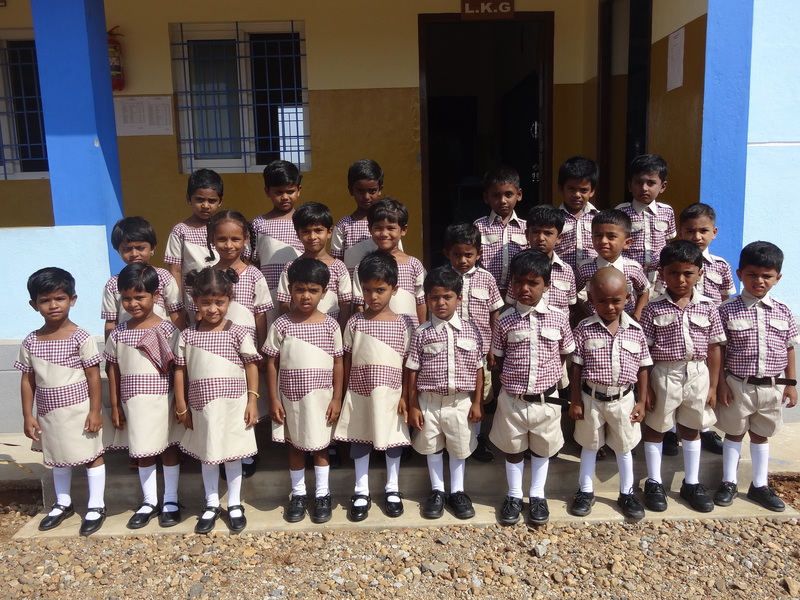 It was indeed a very joyful and a memorable day for the Notre Dame, Visitation Province, starting its 12th school at Pochampalli. To grace this auspicious occasion Rt. 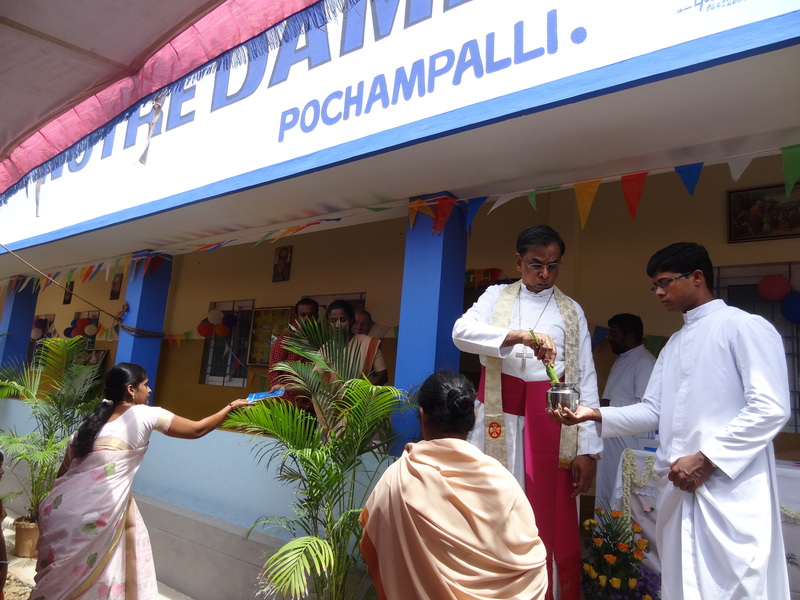 Rev Laurence Pius the Bishop of Dharmapuri Diocese was invited. The other priests Fr.Francis the Secretary, Fr.Rayappa our parish priest, Fr.Susairaj ,Fr.Henry Bonal from Kaveripatnam and Panchayat President of Pochampalli were the special invited guests of the day. 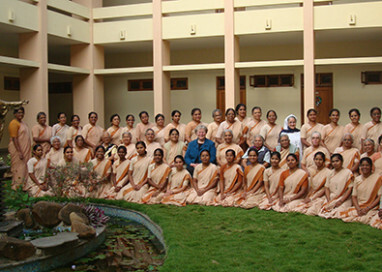 Sr. Sandhya, our Provincial, and our sisters from Bangalore and Mysore: Sr.Kripa Sr.Roslin ,Sr.Shanti ,Sr.Subala ,Sr.Manisha the educational co-ordinator Sr. Dulari and Sr. Hima were present to witness this great day. The inauguration and opening of the school began with the Eucharistic celebration by the Bishop and the co-celebrants. We were very happy to welcome our Sixty – three newly admitted students with their parents to our Notre Dame family. 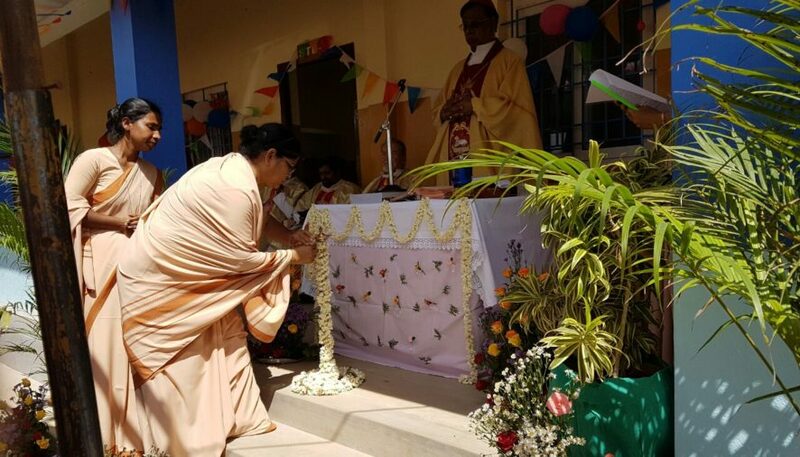 The Holy Eucharist began with the lighting of the lamp by Bishop, Sr. Sandhya , Sr. Reeta, Sr. Shylaja Mrs. Kalpana our teacher, Miss. 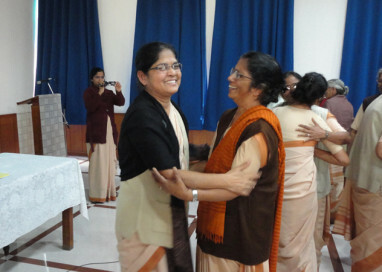 Dhanushka and Dr. Amita a parent representative. After the Mass we had the blessing of the school and kid’s park by the Bishop. 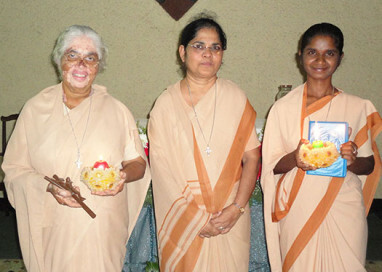 The specially invited guests were all felicitated after the mass. 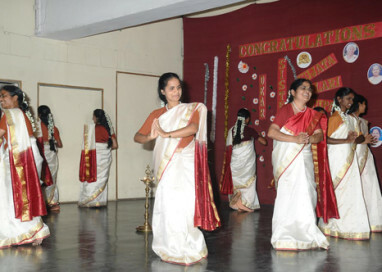 At the end of the program, all the students and parents were given sweets. It was indeed a memorable.